Bridget I just love your graphic card – all clean loves and polka dots! A card full of festive fun! 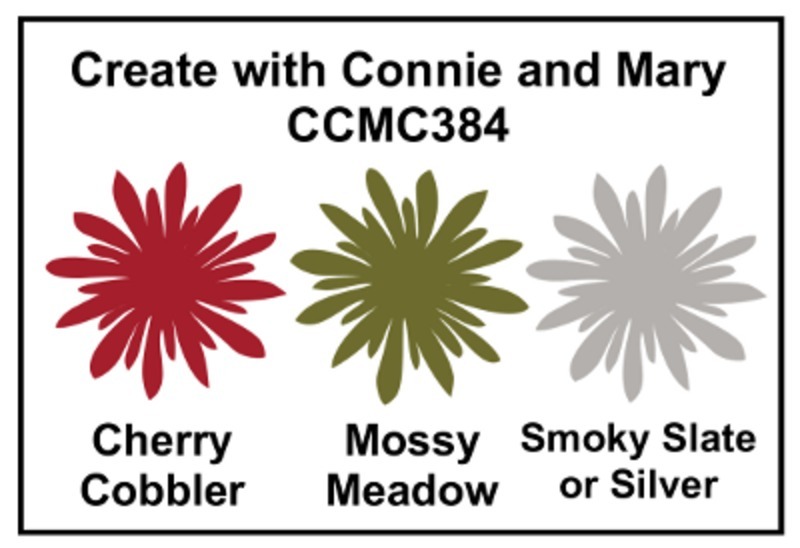 I agree about Mossy Meadow – we are going to miss it! 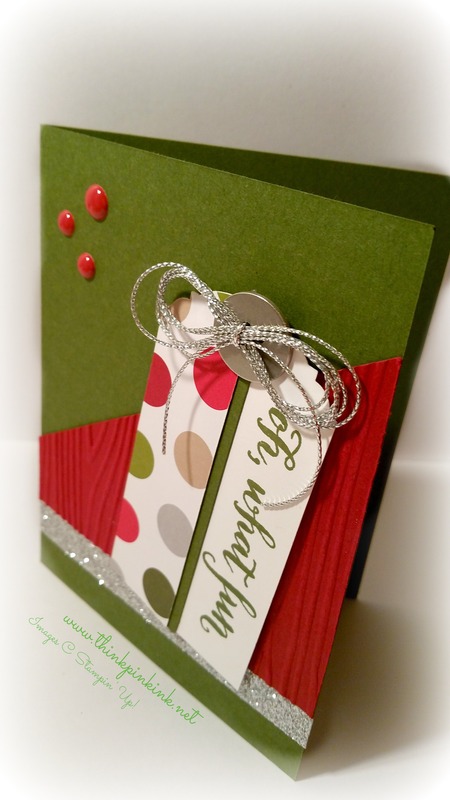 Love the multi-part tag and the wood grain background! I agree! Mossy Meadow is a nice color! I wasn’t really drawn to it at first, but it’s grown on me as well! 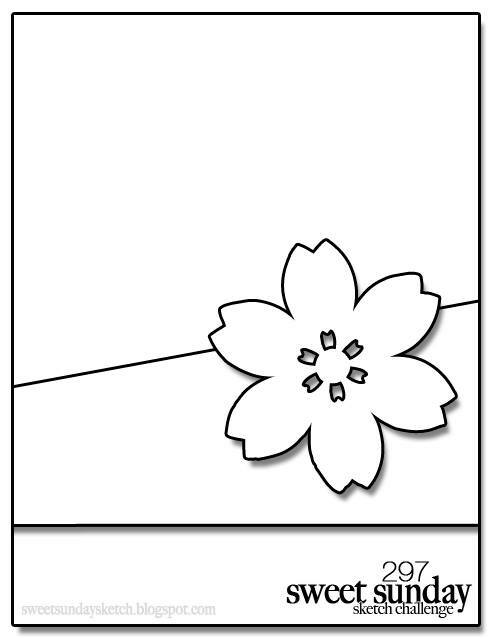 There are so many cool elements on your card this week! I especially LOVE that cord bow! 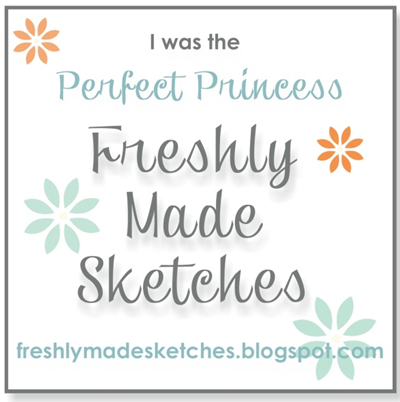 Love the layout and that cute tag! Oh what fun! SOOOO hoping they will keep Mossy Meadow and replace Always Artichoke with it! 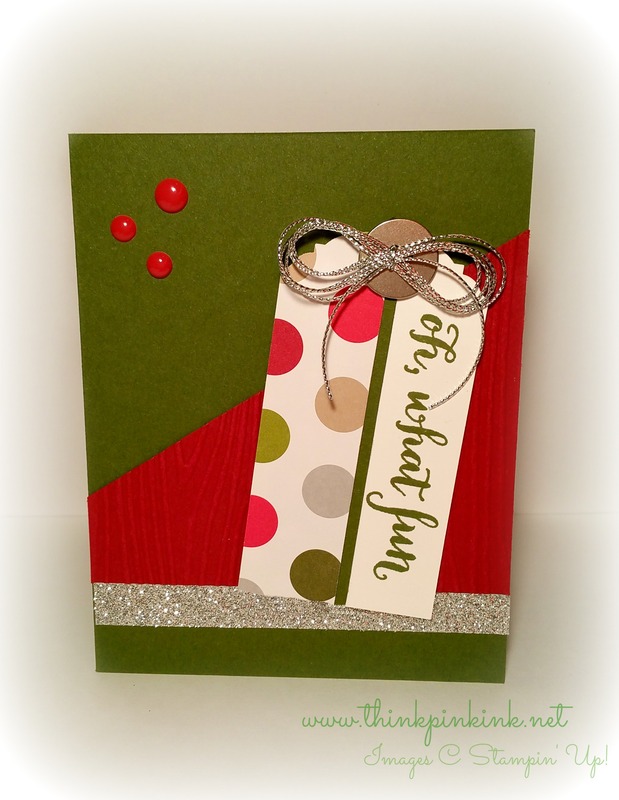 Love all the elements on your tag and card…deceptively simple! Great job with the color challenge!